SMOKE and dust surround the street on afternoons. People talked either in hushed tones or with loud, boisterous voices. Even with heavy books in their bags, the children wore a smile as they journeyed back home. The smell of burning charcoal, fried oil, and an array of street food wafted from one spot, making everyone’s mouth water. Along the road, one could hear the sound of honking cars and the growling of a motorcycle. 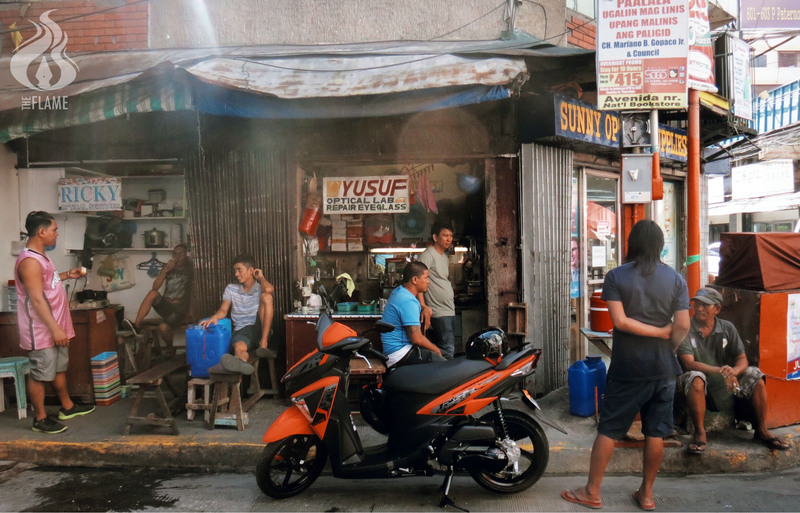 It is a typical modern street in the city of Manila. It is hidden behind the metropolis, situated in a small space that no one ever thought existed. In the shadows of this colorful street filled with friends and family lie stories of unexpected visitors setting foot on once sacred land. It holds memories of blood and dust from years of fighting with rusted swords and the delicate symphony of prayers. Scars from oppression and pain still linger in the polluted air, yet, with their flag raised high, the community remains strong.